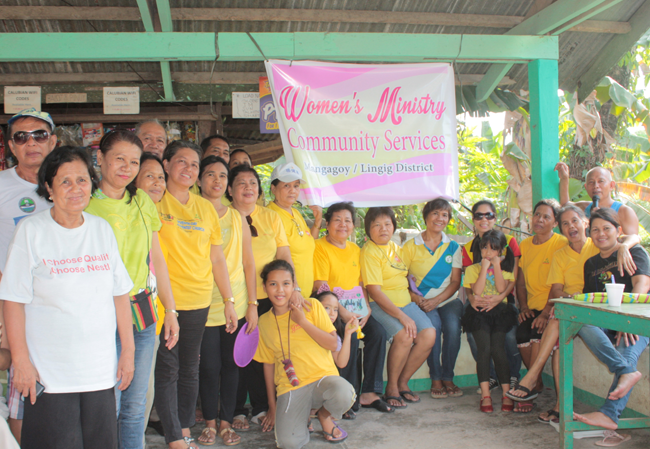 The Women’s Ministries department in coordination with the church’s Health department and the family of Atty. Alfredo Carmelo sponsored a feeding and clean up drive program to reach out to the community. The group already started several areas of Mangagoy and neighboring barangays. On August 30, 2015, the group visited Purok 9 and 11 of Kalubian, Brgy. Tabon, Bislig City for a feeding program. It started with songs, character-building stories, and health tips about diet – to promote healthy lifestyle. Parents and children were very happy in participating the program. The Women’s Ministries served to more than a hundred children and adults that day.